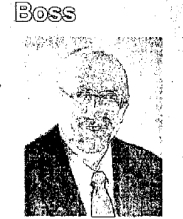 This grainy likeness of Gregory N. McKnight is taken from federal court filings in 2008. URGENT >> BULLETIN >> MOVING: Gregory N. McKnight, the operator of the Legisi HYIP Ponzi scheme, has pleaded guilty to wire fraud in federal court in the Eastern District of Michigan, the SEC said this afternoon. McKnight was charged criminally on Feb. 14 — Valentine’s Day. His guilty plea followed two days later, the SEC said. He faces a maximum sentence of 20 years in federal prison. The SEC charged him civilly in May 2008. Legisi, which gathered more than $72 million and fleeced more than 3,000 investors in the United States and several other countries, was popularized in part on Ponzi cesspits such as TalkGold and MoneyMakerGroup. MoneyMakerGroup is specifically referenced in U.S. court files in the Legisi case. Legisi’s Terms of Service resemble those of JSS Tripler/JustBeenPaid, a purported “opportunity” currently being flogged on the Ponzi boards even as CONSOB, the Italian securities regulator, has opened a probe into the actions of JSS Tripler/JustBeenPaid promoters. Promos by Legisi triggered an undercover operation by the U.S. Secret Service and state regulators in Michigan. In addition to the prospect of jail time, McKnight is on the receiving end of a civil judgment and penalties totaling about $6.5 million, the SEC said. Legisi members, according to the Terms, had to affirm they were not an “informant, nor associated with any informant” of the IRS, FBI, CIA and the SEC, among others, according to documents filed in federal court. The others included “Her Majesty’s Police,” the Intelligence Services of Great Britain, the Serious Fraud Office and Interpol. One of Legisi’s payment “programs” advertised a return of .25 (one-quarter) percent per day, according to court filings. JSS Tripler/JustBeenPaid promotes a return of 2 percent a day — eight times higher than Legisi. A sentencing date for McKnight will be determined later, the SEC said. U.S. District Judge Mark A. Goldsmith presided over McKnight’s guilty plea, the SEC said. Frederick Mann is the purported operator of JSS Tripler/JustBeenPaid.